The short Evangelion 3.0+1.0 teaser that was shown before a Mirai no Mirai screening has officially been posted to Youtube under the King Records account. 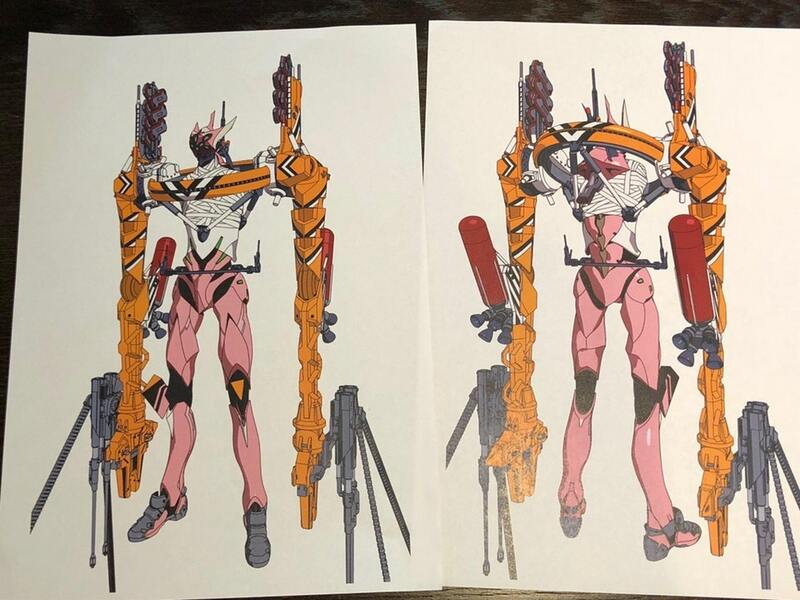 We can now see it in 1080p glory and start dissecting all of the details from Mari’s new plugsuit to the changes made to Evangelion Unit-08. 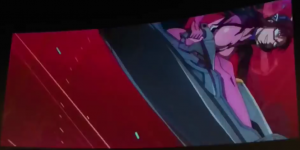 After seeing it in good quality, it’s clear that this is more than the teasers that we saw at the end of each film, which looked more or less half-finished while this teaser clearly has some polish to it. Thanks to @hazenw for the tip. 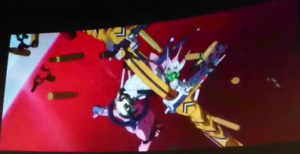 As noted in the previous post, there was a short teaser for Evangelion 3.0+1.0 (Final) that screened before Hosoda’s new film, Mirai no Mirai. The teaser has leaked on Youtube a few times but they look like they’ve been taken down pretty swiftly. 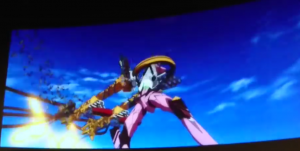 It looks to be about 20 seconds long, starts with a couple of studio logos and distributors, then about 11 seconds of Mari in a slightly revamped Evangelion Unit-08 flying through the air above the red colored oceans shooting machine guns. The trailer ends with the Evangelion 3.0+1.0 logo and a “2020”. Additionally, it’s kind of reminiscent of the short “Next Time” teaser we saw at the end of Evangelion 3.0 with what appeared to be a combined Evangelion Unit-02 and 08 fighting what appeared to be mass produced Evangelions. 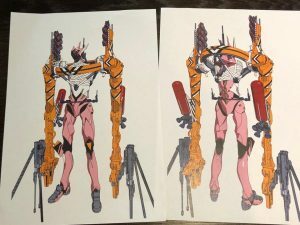 It’s been a pretty slow couple of years between announcements and newsworthy tidbits, but we’ve finally arrived at a new release date for the fourth and final new Evangelion film. We’ve known that the film was in production but weren’t sure if it was in some limbo or what the progress was. Now it seems Studio Khara feels confident in a year 2020 release of the film in Japanese theaters. It’s been reported that at the screening of Hosoda’s Mirai no Mirai, a teaser was shown before the movie on Friday that revealed that Final will have a release date of 2020. The official website hasn’t been updated with this information yet. 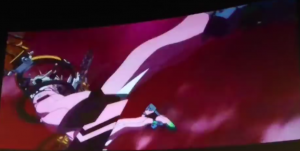 The Evangelion teaser was apparently unexpected as a lot of people have been tweeting the news but it’s great that we finally have a date to look forward to. The official site and social media accounts would probably be giving us more updates in the days to come. 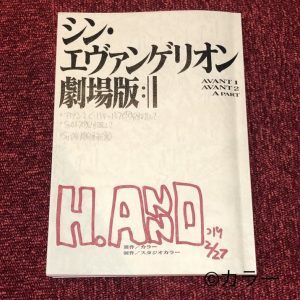 UPDATE (7/20/2018): The official Evangelion website published a <a href=”http://neweva.blog103.fc2.com/blog-entry-5560.html”>news post</a> making this official. News in the Evangelion world has been slow and mostly filled with small blurbs or new merchandising. However, Megumi Hayashibara, the voices of Rei Ayanami, Yui Ikari, and Pen Pen, is releasing the first new album in seven years which will include a handful of songs from the Evangelion sound track and CR Evangelion Pachinko. There will also be two newly recorded songs including one written by Hayashibara. It looks like there’s also a limited edition BD that includes music videos. A little bit over fifteen years ago, I started an ambitious little fan site called Eva Monkey that you may be familiar with. 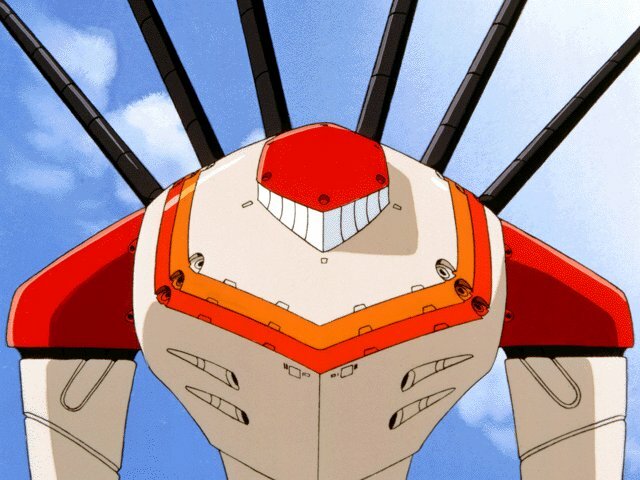 Through much of my college experience, I spent far too many late nights tinkering with code and generally trying to build the “ultimate” Evangelion fan site, neglecting my studies in the process. The irony is that all that misappropriated time led to an unexpected career in web development. Upon graduation, however, I think my endeavors with Eva Monkey had taken their toll on me, as I had lost the passion for discussion and analysis of the work. I wasn’t able to accomplish what I set out to do with Eva Monkey, and so, it made sense to merge with EvaCommentary.org and form a new entity, EvaGeeks.org. After which, I had meant to go into semi-retirement. In the end, Eva got the better of me, and sucked me back in. So much for that. The idea for Eva Geeks was that of a communal effort, where any one person shouldn’t be burdened with operating and maintaining a large site, as I was prior to transferring the Eva Monkey Forums to Eva Geeks. Nowadays, we’d call that crowd-sourcing, I suppose. Still, Eva Geeks remains a group effort, where anyone can get involved. And I’m pleased to see some of the terrific and indispensable resources that have been generated by the community. I find myself pointing to various wiki articles here on Eva Geeks on a regular basis. I think something needs to be said about a fan site or community that manages to not only survive, but be active for a span of ten years, especially with the current state of the web. Fan sites, fan communities, and web forums seem to be much less common places these days, with social media platforms like Twitter, sites like Reddit, and services like Discord fulfilling much of the needs of the various pockets of pop culture fandom. To have weathered that paradigm shift, as well as the years of inactivity of the Rebuild film series should tell you something about the strength and importance of the Eva Geeks community. In particular, I’m pleased and proud to see that the forum that I started back in 2004 is not only still alive and well, but has accumulated over 850,000 posts! It may be a few years from now, but I eagerly look forward to the day when the forum community breaks a million posts. Right now, you could say that Eva Geeks is in a bit of a quiet phase. The activity of any fan community ebbs and flows with the developments of the property that it is dedicated to. And so, I look forward to the details, speculation, discussion, dissection, and debate that Evangelion 3.0+1.0 will bring as its release comes within sight. With the anime long completed, and with Sadamoto’s manga completed, it will be interesting to see what direction the franchise will take with the completion of the Rebuild series. I don’t expect a franchise as significant and lucrative as Evangelion to die out anytime soon. I look forward to the future of Evangelion, and the future of Eva Geeks. Here’s to another ten years! Episode 7 “A Human Work”, of the Eva Geeks commentary project is finally underway. This episode covers the events surrounding the development of the conventional robot known as Jet Alone, and its subsequent sabotage by Nerv. If you’re interested in contributing commentary to the project, you will need to review the scenes on the commentary page, reference the corresponding animation cut number, and then post your remarks in the episode 7’s dedicated thread in the forum. Further information is also available in the designated forum thread. 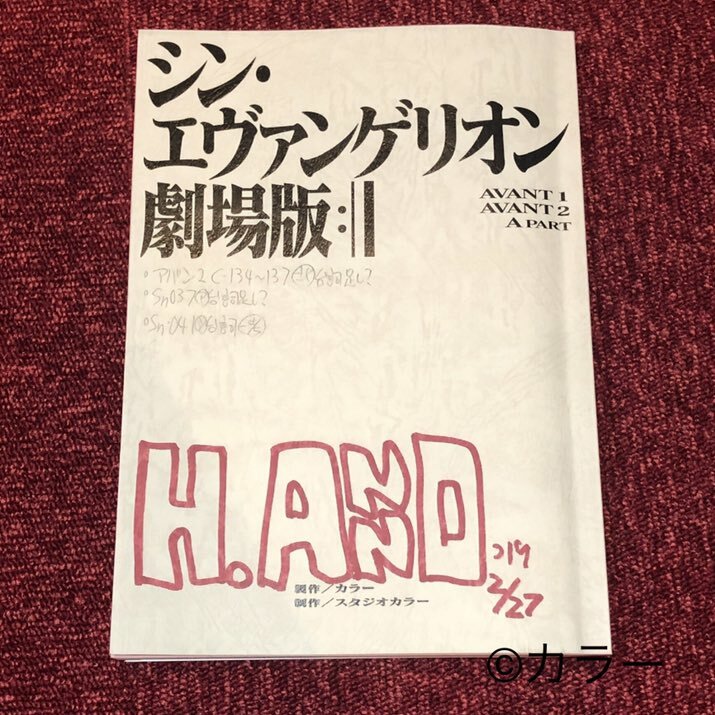 It’s been quiet as far as any real news in the Evangelion world, Khara is apparently still working on FINAL and have even started hiring more staff, but nothing really substantial outside of those tidbits. 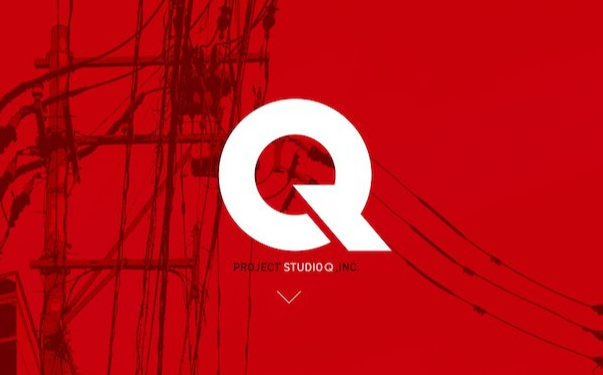 Today, however, Anno had a press conference to discuss something called “Project Studio Q”. Not much info was available before the press conference (and will update the post as more info is available) but it appears that this is a new studio based in Fukuoka City that’s formed together with Dwango, Aso College, and Studio Khara and will be working mainly with 3D and CG.